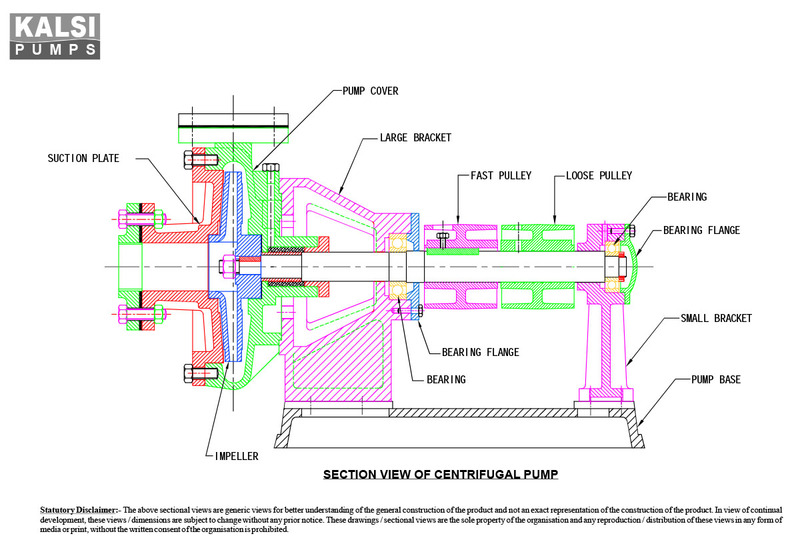 ‘KALSI’ brand CENTRIFUGAL Monoblock Pumps, are available in 0.5 HP, 1.0 HP, 1.5 HP and 2.0 HP, 3000 RPM. 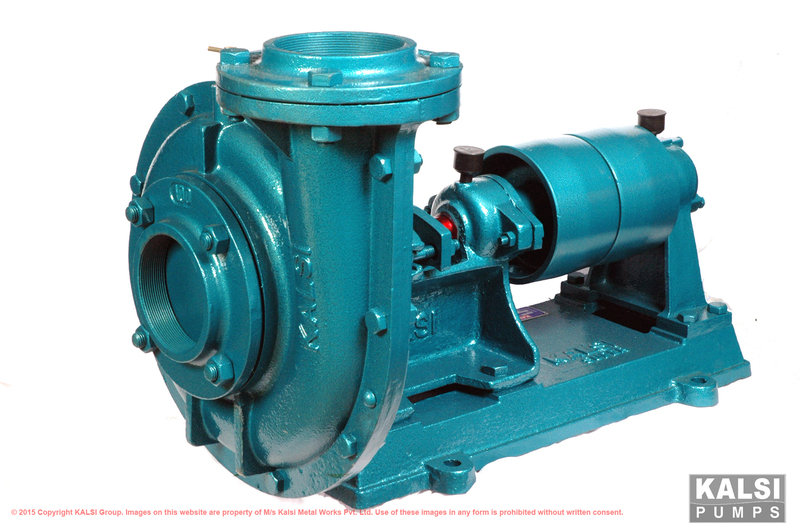 This pump is manufactured as per IS 9079 (Electric Monoset Pumps) and is used for Water supply. Pump casings, Motor bodies and End covers are made of close grained cast iron. The motor is totally enclosed fan cooled (TEFC) type as per as per grade FG 200 of IS: 210. Motor windings are vacuum inpregnated with synthetic varnish for better moisture resistance. High tensile brass forged impeller used to give troublefree service. Better insulating materials used to withstand temperature rise. Superior mechanical shaft seal for longer life and effective sealing against water leakage. Grease lubricated anti-friction double sealed ball bearings are fitted to withstand radial and axial loads. Running capacitor enclosed in the connection box to avoid problem of water entering in the capacitor and transit damages. Thermal overload protector (T.O.P.) is provided for safety of motor of the pumpset. Spring loaded non-return valve ensures leak-proof sealing which does not allow water to return in the suction line. The motors are of the Capacitor Start & Run (CSR) design giving high starting torque. Input supply is single phase, 220V (50Hz) AC Supply. Designed to withstand wide voltage fluctuations of 160V – 240V, AC Supply. Shaft : The shaft is made of stainless steel as per IS:6603 accurately ground finished to close tolerances to ensure long life of bearings. 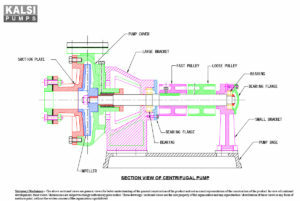 Mechanical seal : Rotary seal of high precision having fine lapped surface is used. Its spring-loaded carbon face seals the stationary ceramic face for effe- tive sealing against water leakage. Motor frame : High tensile cast iron and is totally enclosed fan type. Cooling ribs are provided to facilitate heat dissipation to keep the body cool. Windings : Enamelled copper wire with class ‘B’ insulation. Ball bearings : Heavy duty double sealed ball bearings fitted to ensure longer life.